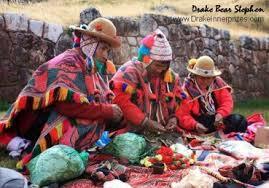 As a Medicine Woman trained in the Andean tradition of Shamanic Practice. 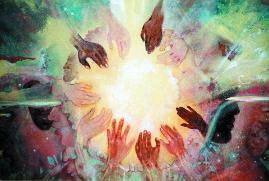 I know that in life we sometimes need some extra power and help from the unseen realms. For this reason I offer a very special & sacred service, called A Sacred Despacho Ceremony, this service can be carried out in person or remotely. The reasons despacho's are created are many, but in general they are created to change something, release something or invite something into our lives. Their magical abilities lie within their powers for unblocking stagnancy, healing, blessings (for weddings & christenings). releasing trapped flow, shifting energy, creating & embodying your dreams & desires. They are also created to clear-away dark energies and release sorcery & curses. They are also perfect to clear negativity from people, homes, land and work-spaces. Indeed a Despacho offering is a clear and concise request for help, one that is always heard or as an expression of thanks. Ayni Despacho - To Create something that is unbalanced within your life. Pachamama Despacho - A request for healing, protection, blessings & thanks. APU Despacho - To Ask for Guidance on something, Create Good Flow into your life or to Attune to your higher purpose. Embodiment Despacho - A Despacho to request & manifest all of your personal dreams & desires. AYA Despacho - Created to honour and to ensure a clear passage for your loved ones as they cross over into the realm of spirit. Despachos can be performed for any number of reasons. Among the Andean peoples, the contents of the Despacho are in part determined by its purpose. Within each despacho is many different levels & elements. The various elements that comprise the Despacho energetically interact to permit access to portals or bridges from the ordinary to the non-ordinary worlds. When working in ceremony with the Despacho, one is accessing the non-ordinary energetic dimensions, the source of things. Though the contents may have symbolic significance, the Despacho, when performed with the correct intent, transcends the literal and symbolic domains and directly accesses the archetypal and energetic realms. Cuti Despacho - release curses and sorcery. As we are enter into the realms of the sacred. there is a courteous requirement required before I conduct these Sacred Offerings. The proviso is this, your energetic intention and state of your energy body has to be clear, before I proceed. Therefore an energetic checkup and if needed a heavy energy cleansing will be carried out before the Despacho is made.